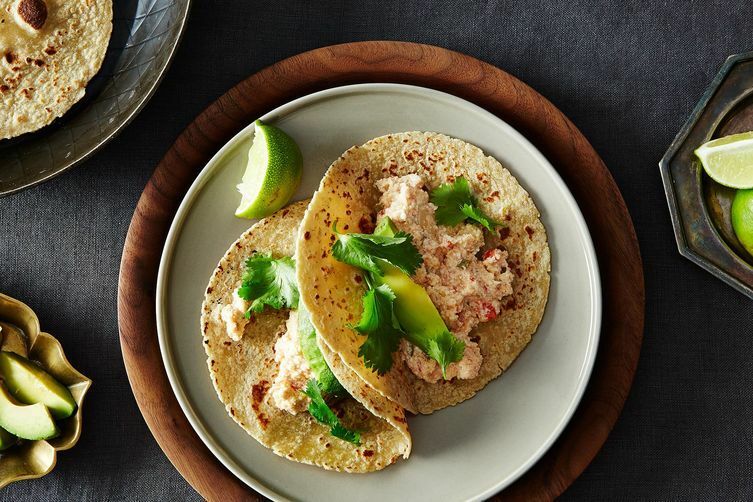 Today: Diana Kennedy, ambassador of Mexican cuisine, talks culture and cooking with us -- and invites you to join her in Mexico for a week-long cooking class. 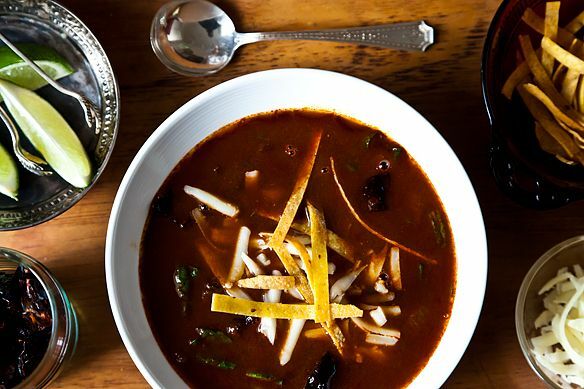 Diana Kennedy is a legendary authority on Mexican cuisine. After arriving in Mexico in the 1950s, she immersed herself in the culture, the people, and of course, the food. Since then, her goal has been to teach others "how to use Mexican ingredients in a traditional way for traditional Mexican recipes." The emphasis on traditional is no mistake. Diana's passion is not limited to eating and sharing food; it also rests in preserving the culture and the history behind it. She has spent her life traveling, researching, and documenting the cuisines and practices of Mexico's people and regions. The 9 cookbooks she has published along the way have won countless accolades, including a James Beard Award and awards from both the Mexican and British governments. To further her cause, Diana is currently transforming her property in Mexico into the Diana Kennedy Center, an educational space for cooking instruction and the promotion of sustainable practices. From January 18th to 25th, Diana is hosting a week-long boot camp on the Building Blocks of Mexican Food, where students will learn the basics of a cuisine in its place of origin, from a master on the subject. Drop a hint or two to your loved ones, start packing your bags, and resolve to begin 2015 in Mexico. What first piqued your interest in Mexican cuisine? When I arrived in Mexico in October 1957, at the invitation of my future husband -- the late Paul Patrick Kennedy, who was the foreign correspondent for the New York Times based in Mexico City -- I was captivated by the markets, the foods, everything. What is the biggest cultural difference between eating in Mexico and where you grew up? That’s impossible to answer in a few words -- the types and times of meals are so different. Growing up, we ate lots of fish (which was so cheap then) and every part of the cow: heart, liver, tail, tripe, etc. My mother also cooked curries -- albeit with a commercial garam masala -- so I was not unaccustomed to the heat of chiles. In Mexico, comida -- the main meal of the day -- is usually eaten at about 2:30 in the afternoon. In most offices and work places there is a two-hour break for this, with the general exception of Mexico City where, because of distances from work and heavy traffic, the main meal is eaten later when workers return home from offices or school. What are the biggest threats to preserving true Mexican cuisine today? All the badly-informed articles and books published on the subject of so-called Mexican food. There is nothing wrong with innovation, but it should be clearly stated if a recipe is not traditional -- I don’t accept “My Traditional Guacamole” if it's not actually traditional! And, of course, all the new, genetically modified seeds that produce large, shiny, tasteless ingredients. What are the pantry ingredients that you use the most when you're in Mexico? These are the items currently in my pantry in Mexico: 5 types of pumpkin seeds, dried fava beans, dried shrimps of all sizes (head intact and unshelled), 13 types of dried chiles, several types of dried corn, powdered lime, tequesquite (a natural salt), 8 types of dried regional Mexico oreganos, almonds, pecans, cashew nuts, candied citron and biznaga (barrel cactus), white, black, and muscat raisins, currants, and three types of Mexican sea salt. Plus, of course, every spice you can name. I use them all from time to time. 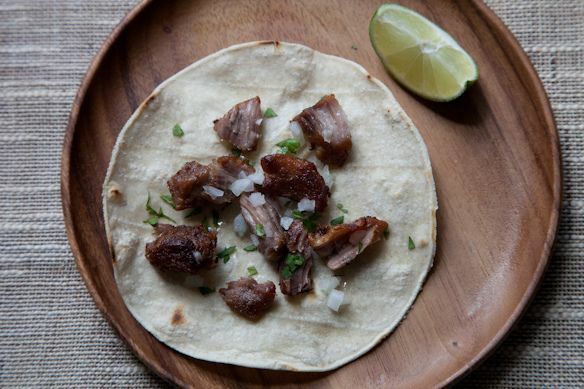 More: Try Diana's genius 2-ingredient carnitas. What is the biggest challenge when teaching Mexican cooking and how do you overcome it? The use of pork lard, which is essential in Mexican cooking, especially for beans and tamales. Also, making chicken broth with all of the innards (minus the liver) and feet. It would be difficult, if not impossible, to overcome food prejudices (with the exception, of course, for religious taboos) and dietary reasons -- which are usually imaginary. But, generally speaking, one can only try to appeal to the students' taste-buds. Anyone have a recommendation for someone interested in purchasing one of Diana Kennedy's cook books? I love her Cuisines of Mexico. Copyright 1972. An oldie but very goodie. Okay now I have to have that one.